This is Cameron the new member of the C pose Dandies family. He’s a black guy paper doll, as you can see, and I had a lot of fun researching black men’s hairstyles for him. I noticed this very square hairline seems to be the trending thing (as much as I know anything about men’s trends in hair) and I based the look that Cameron is sporting on this picture and this picture. Drawing men’s hair is something I am still working on getting better at, but I won’t get better if I don’t practice. 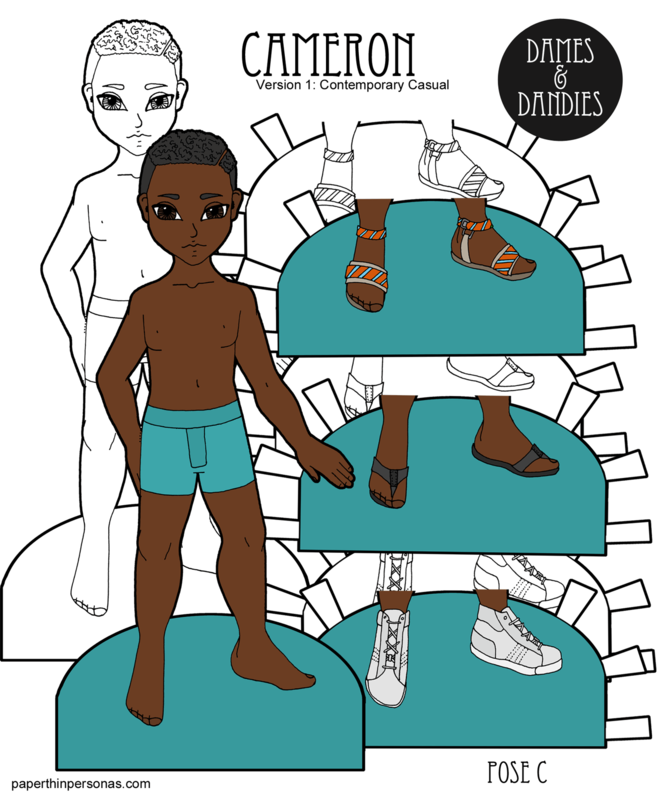 Along with his hair, Cameron has three pairs of shoes and can wear any of the C Pose outfits.I wanted to have more skin-tones and ethnicities represented in the Dandies, so along with Cameron here, I have a white paper doll named Cyrus who’ll be shared next Monday. Stay tuned for that. I always feel bad for my paper dolls who end up with only shoes. I mean, I get it. It’s done so they have shoes, but really… give this poor guy some clothing, stat. Personally, I think he’d look great in the sci-fi set or in this warrior outfit. Meanwhile, it’s after my bedtime and therefore time to sleep. 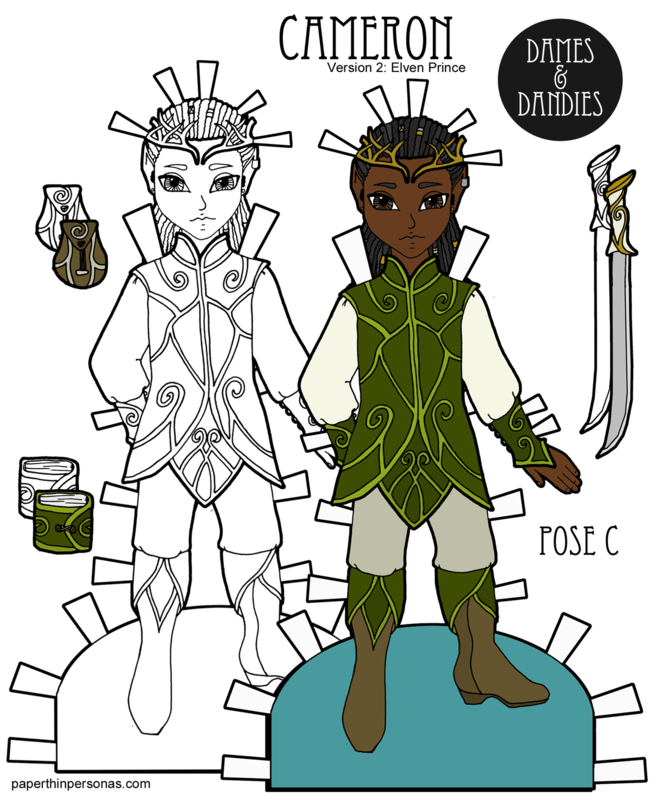 Let me know what you think of the new paper doll in a comment if you like!